Bad start, bad finish for the Wings in the first period Jets up 2-0. 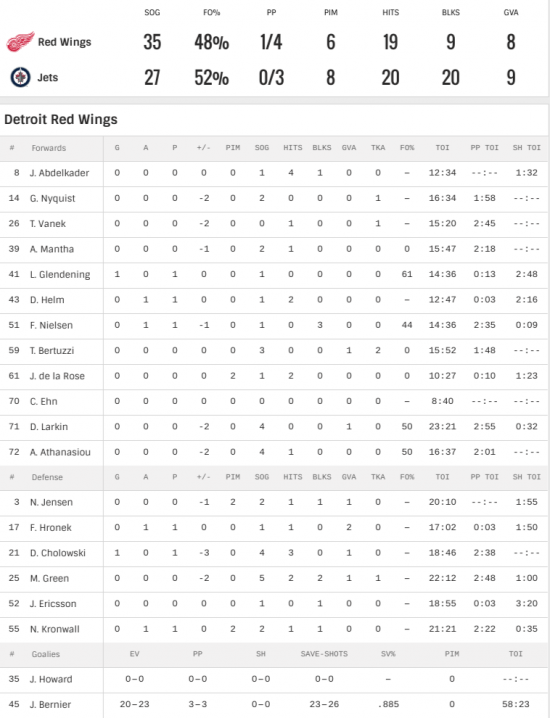 Wings went down 3-0 and then started outplaying the Jets. Wings down 3-1 after adding a shorthanded goal by Glendening. wings made it a one goal game in the third, but an empty net goal for the Jets made it 4-2 and that is how the game ended.